Opening/Synopsiss: It started out as a normal summer night. The city was loud and hot. Inside, everyone was busy. And then…the lights went out. All of them. Nothing worked at all. A family living in a big city is busy at home one evening when the lights go out. Mom is on the computer, Dad is cooking in the kitchen, a girl is talking on the phone, and a boy is playing a game. The parents get out flashlights and candles, but it gets too hot and sticky. The daughter asks if they can go up to the rooftop where they discover the stars in the night sky, and a block party on every roof with neighbors chatting. They discover a street party where vendors are giving out free food. Just as they are having fun doing nothing, the lights come back on. The family finds itself enjoying the blackout and rethinking what is important in their lives. Why I liked this book: This is a very simple and beautifully illustrated book. The Blackout is a fun read and helps lessen a child’s anxiety. It is a great discussion book to help parents talk about blackouts and power outages with children. The family learns an important lesson about needing all their electronics. They have a party on the roof top, play games and connect as a family. I love that Rocco has a picture of Thomas Edison hanging on one of the walls. Activity: This is a perfect time to devise a family plan and make it fun. When the weather warms, try a “lights out” night with your kids and focus on what you could do as a family. Play charades, do hand shadows, and tell stories. Cook outside. Talk about what basic supplies you should have on hand to ease any discomfort. And, you don’t need a power outage to declare a “family night” minus the electronics. Be creative. 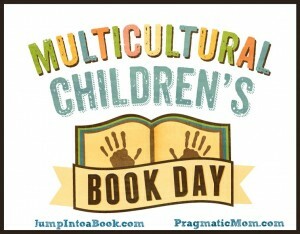 For more books with resources, please visit Perfect Picture Books. 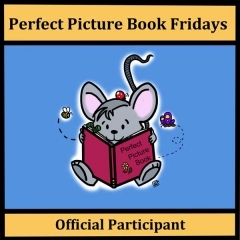 Or click on the Perfect Picture Book Fridays badge in the right sidebar. Posted on January 6, 2012 by Patricia Tilton •	This entry was posted in John Rocco, Perfect Picture Books and tagged Imagination, Plan Ahead, Power Outage, Reassurance. Bookmark the permalink. I loved this book when I read it this summer. I appreciate that it is not an anti-technology book but rather a celebration of community and creative fun that can be had by all generations with nothing! 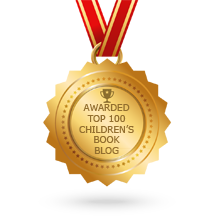 I am not at all surprised that is was named in the Cybils shortlist of six earlier this week for fiction picture books. Yes, I loved this book because I remember the blackout in New York City. I wrote the review some time ago, debating whether or not to share it because of the season. But, when I saw it was named in the Cybils shortlist, I decided to run it. Also, with all the cold weather, it might be fun to share something warm. Another terrific-sounding book I haven’t read! It seems like a great choice to introduce kids to the what might happen during a power-outage. I especially love your activity ideas for making a plan, and having no-electronics nights just for fun. It’s so important to connect as families, and so easy to get sucked into everyone on their own electronic device! Thanks for sharing! Susanna, it’s a very simple book. The wonderful illustrtions really tell the story. Loved that this was based on a true story and that people did have to connect in a different way. This was one of my ideas for PiBoIdMo! Oh well! It looks like a great book! Erik, it is a good book. Doesn’t mean you can’t come up with a different angle. This story was based on the outage in NYC. That sounds brilliant. My kids are so hard to persuade to do board games and things. Though they are quite creative. A no screen day would be great. Catherine, I’m glad you liked the ideas. As I read the book, it occurred to me that it’s an activity that families could use to connect once a week, monthly or what ever works. The book is a great read and a great launching point for such an activity. I rarely read a review on your blog without thinking “Another book for my must-read list” and this is definitely another one! It sounds excellent, and your suggestions of activities are spot-on. Absolutely loved the trailer! Beth, I’m glad you enjoyed Blackout! With the cold weather, thought this might warm everyone up. I understand why it was selected by the Cybils. Oh, I loved this book! I took it out when you ran it before. Or maybe I just saw it. Great book! Thanks for having it for PPBF, Patricia. Good idea for the cold weather, too. Ooh, I have this on my to-read list. As a former NYC dweller and game-night lover, this book draws me on multiple levels. Thanks for the review! Now this book would go really well down here….. Actually as I read your review what came to mind were all the families in Christchurch after the earthquakes, this past year. They would have had to deal with no power for many many nights. A great way to have kids look at the situation differently, and build neighbourhood communities. Thankyou so much Pat. Diane, glad you liked my selection. I would imagine this would be a good book for your area. Children are so easily frightened, especially by earthquakes and the aftermaths of outages and damage. I think you’d enjoy the book. I kinda think Blackouts are exciting. It’s as close as we’ll get to a zombie apocalypse. Michael, love your remark — sounds like you! It is a good book. Kelly, it is a cool book. As I recall the blackout lasted a few days. Good message and exercise for parents of the techno-generation — they just might have fun playing and using their imaginations. I know our family has a big game night every few months, adults, aunts and uncles grandchildren — and the teenagers rule. Patricia, thank you thank you for this one – looks like a gorgeous book with a great story that my son and I will both really enjoy. Funny how it sometimes takes divine intervention to make us stop and evaluate what’s truly important, isn’t it? Melissa, thank you for stopping by. Glad you liked the selection. It made the Cybils list. Your son would like it! It is fun! This sounds like a great book. Disconnecting from technology and realizing the more important things is life is a great lesson for the kids of today. Jennifer, thank you for visiting. Blackout is a great book with a powerful message! Hi Patricia, I’m glad you found me, & now I’ve found you. 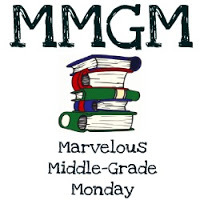 Your blog looks like something good to read with a different focus of sharing books that teach lesson. As you can see from my post I am interested in using literature to spark other writing or conversation with students; thanks for the comment. It’s great to look at all these blogs although I’m a bit challenged at the many! Linda, so happy you stopped. Yes, my focus is different from most blogs. Yes, I enjoyed your blog and I could tell your interest in working with students. Yes, I will have trouble with the “many” visits in the challenge too. I’ve heard so many wonderful things about this book. I just have to read it soon. It can be magical when the power goes out. As a matter of fact, it happened to us on New Year’s Eve! Julie, that must have been interesting. Yes, it can be magical. Wished you would have had read the book. What an excellent review! This sounds like a wonderful read. I loved watching the trailer, great idea including it with the post. It reminded me of when we had a blackout a few winters back. We knew the blizzard was coming so we charged up all of our small tech toys. Then we watched a movie on the laptop, all snuggled together to keep warm. It was a lot of fun and a good memory during a stressful time of not knowing when the heat would come back on. I will add this to my list for the next time we go to the library. Thanks so much! Thanks Loni, I’m glad you enjoyed the review. It is an excellent read and I know you’d love the illustrations. Can’t imagine being in a blackout during a blizzard. Although I’ve experienced one during the cold of winter. You just have to be creavtive. The illustrations look wonderful. I like the topic, too. Adults sometimes have a more difficult time in a black out situation than children. I like the idea of using it to create a plan and think about what happens when the power goes out. Stacy, glad you enjoyed the review. You may be right, adults have a lot more to worry about — food spoiling etc. It is a good book and I hope you have a chance to read it. What a fun book and awesome trailer. Thanks for stopping by my blog recently. Carol, I’m glad you liked my selection. Thank you for visiting. I enjoyed your blog. We experienced a long power outage in October, and my students talked and wrote about how they re-connected with people and activities they’d never made enough time for before. 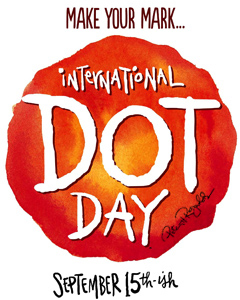 This would make a great readaloud/talk about for my classroom…thank you! Tara, thanking for visiting and sharing your classroom project. I think that was such a great activity to do with students. It is a good book for the classroom. I love that term a “darkout!” Kids are so creative. I’m glad you read the book. Jumped over to you blog and will leave a response to your question. My guess is you are participating in the Comment Challenge, where there may be many librarians. Thanks for stopping. I have heard so much about this book, but I was wondering do you think kids who don’t live in a city will appreciate it. Yes Darshana, I do think kids that don’t live in a big city would have fun with the book. NYC makes it a little more dramatic, but you have the same issues with a power outage and how you handle it. A lot of humor and a strong message. Wait — the younger kid was a boy? We all thought there were two daughters! This one was popular with my kids, although they are old now (5th and 7th grades). I liked the way the words and the text had a dialogue — sometimes they reinforced each other, sometimes it was a sly commentary, sometimes they both added something new. Beth, thank you for your comments after reading the book. Yes, the son does look like a girl in the picture. 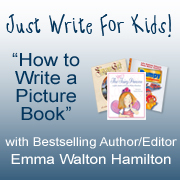 I’m happy your kids liked the story — it’s great that they still like picture books. This is on my list of books to pick up next time I’m at my favorite KidLit Indie bookstore! Christine, glad you likekd Blackout. It’s a fun book. By the way, I live in Ohio too. Sounds like a good book! It’s now on my list of books to check out the next time I’m out book shopping. Thanks for stopping by yesterday and taking a guess at Peek-A-Boo. I will post the answer shortly. 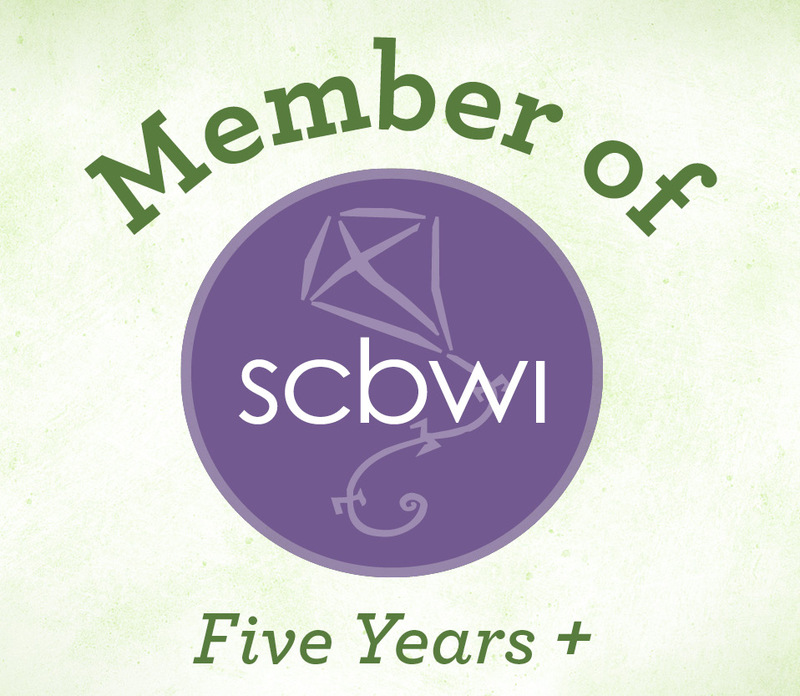 I’m always glad to meet a fellow SCBWI member and to join you in the 12×12 in 2012 challenge. Rena, I’m glad you enjoyed the book review — it made the Cybils this year. Thank you for stopping by my blog. And, I’m very curious what the Peek-A-Boo is — it was so hard to make it out. It was fun though. Glad you’re joining the 12×12 challenge.